Hamster wheels are a running wheel that provides exercise to hamsters and other types of rodents. 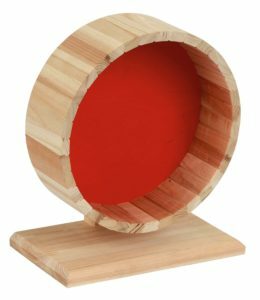 They are usually a runged or ridged wheel which is attached to the side of the cage or is freestanding attached to a stand and and axel. They allow a hamster to get the exercise they need within the confines of their cage. Why does a hamster need a wheel? Exercise is vital for a hamster. It is something that they naturally need to do, and they really enjoy it. By nature, they are energetic and lively creatures and in their natural habitat might run up to five miles each night in the hunt for food and water, not to mention keeping away from predators. 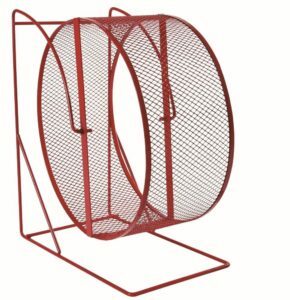 What size hamster wheel should I purchase? When it comes to deciding what kind of wheel you should purchase, size should be a big factor in helping to decide which one to purchase. It needs to be a size where they feel comfortable running on it. Their back must be competely straight. If their back arches it an cause them problems in later life. So here is the minimum wheel size that each variety of pet hamster should ideally have. A typical wild Campbell’s dwarf hamster is 13.5 mm (0.53 in) long, with a tail length of 5 mm (0.20 in). They need a wheel of a minimum size of 165cm in diameter but an ideal size is around 200mm. Robo’s grow to between 45–50 milimeters in body length. They need a wheel of a minimum size of 16.5cm in diameter. They grow to between 82 and 127 mm in body length. They need a wheel diameter of a minimum 200mm in diameter. Syrian’s grow to between 82 and 127 mm in body length. They need a wheel diameter of a minimum 200mm in diameter for a small Syrian but an ideal size for an adult is around 270mm. 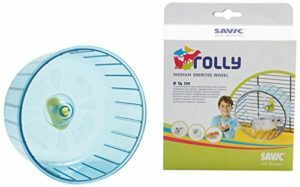 Here are some different examples of hamster wheel that are available on the market. The following were picked from Amazon.com for convenience. Protects the spine due to ideal wheel size . Particularly smooth motion and quiet. Solid running surface not rungs with lateral reinforcements for better grip. Safety stand and closed rear wall prevent the animal getting caught. Free standing or hanging on the cage wall. Small 20cm for dwarf hamsters or large 28cm for Syrian’s and Chinese hamsters. 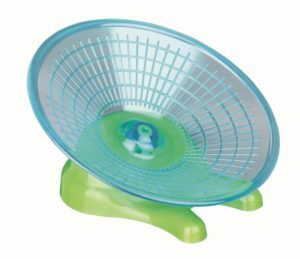 The flying saucer is a shallow bowl that rotates or is concaved and set to a horizontal angle and the hamster will run on the rim of a disc. They can run on the rim of the disc in a similar way to running in hamster wheels. The problem with this model is that the smallest is too small even for dwarf’s and largest would not Syrian’s or Chinese hamster. Comes in sizes of 200mm or 300mm diameter, so a good size for syrian’s or chinese. Dwarfs could use it as well. There is a risk that a hamster could get their paws stuck in the mesh. It is also said that this type of wheel can cause bumpfoot, which is where a swollen lump will grow on their foot from running on the mesh. Because the size of the wheel is important for the health of a hamster, its important to take this into consideration before buying a cage. A lot of pet stores will attempt to sell cages and wheels that are much too small, especially for a syrian hamster. So do bear in mind that when you buy a cage. If getting a Syrian hamster for example, consider whether cage can house a wheel of around 280mm diameter. This is what they need to feel comfortable. Why isn’t a hamster using its wheel? 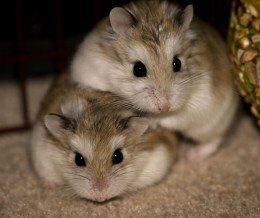 Here are some reasons whey a hamster may not be using its wheel. It may be too small for them. Having the wrong size wheel can cause all kinds of problems for a hamster in old age as they are having to arch their back in order to use it such as general back pains, arthritis and even spinal deformities. Some hamsters may still use a wheel that is too small for them, but others will just not use it as it is too uncomfortable. Go for the largest wheel possible when looking to purchase one. They may not be bothered to use it. Lazy hamsters are a thing and it is possible that a hamster may not be interested in being active. This is actually fine, although do observe them and ensure that it isn’t an illness which has afflicted them that is causing this. If you suspect that you hamster may just be lazy, it might be worth getting them checked over by a vet to ensure that this the case. The design of the wheel. The wheel design may be uncomfortable to them. Mesh and barbed wheels are painful for them as they put pressure on their feet which can cause problems to their feet and limbs. They can also catch their feet in the holes as well. A solid floored wheel is the best option. The claws of your hamster. If they have claws that have grown too long this can affect their running and make it painful for them to do so. This can be easily remedied by trimming their nails to a more reasonable size. It may not like a wheel. A hamster may just not like using the wheel. It may prefer other types of exercise. Just make sure that they are getting other forms of exercise to compensate for this to ensure that they are getting what they need. Different types of wheel, such as flying saucers can take increase the uncertainty of a hamster to using a wheel. They will gradually become acclimatized to it but it may take longer than using a standard wheel. It is worth having a standard wheel for them to use as well, if you have a flying saucer. The wheel may be too loud for them. There are hamsters that have personalities that are quite touchy, and a wheel that is too loud will put them off using it. 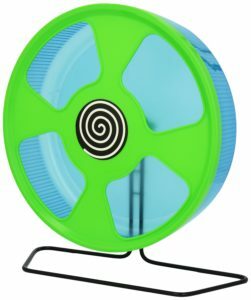 If the hamster wheel is too loud and you find that your hamster isnt using it, it might be worth investing in a wheel like the silent spinner which won’t make so much noise. Another thing you can do is to add some oil to the spindle axel and that should do the job. Taking all the above into account, here are some tips for getting your hamster to use a wheel. Make sure that the wheel is large enough for your hamster. The larger the better. Make sure it is quietened by oiling the axel and so doesn’t squeak. Try out different types of wheel to see which they prefer. dwarf sizes minimum 160mm, but an adult will need around 200mm. syrian hamster minimum sizes 200mm, an adult need around 270mm. The bigger the wheel, the better it is for them. Small hamsters can run on big wheels too. Flat surfaces are definatly better for them to run on. Erins animals: An excellent video on helping your hamster to use a wheel. Amazon.co.uk: Various wheels available for sale. Useful reviews as well from previous buyers. How Can I Stop My Hamster Chewing Plastic? If you have a hamster that has a cage with either plastic walls or floors, then you may notice after a while that they have taken to chewing on the plastic usually in the evenings when they have awoken and are less sleepy. Whilst they have a need to grind their teeth so as to prevent their teeth from growing longer than they find painful, gnawing on plastic is not good for their teeth and will be painful for them in the long run. So if you can help your hamster to avoid gnawing plastic, then please do so. Here are 6 ways you could do this. 1. Coating the plastic in a sour flavored liquid such as lemon juice. Make sure it is edible and isn’t harmful for them. It may put them off chewing the plastic. This is quite labor intensive though and needs to be constantly done. 2. Change the tank altogether. Get a glass tank instead and replace the one that has plastic in it. If you can afford to do this, there are plenty out there that you can purchase for a reasonable price. 3. Get some interesting things for them to chew and ensure they have plenty to do to ensure that they don’t get bored in the cage. 4. Make sure that their food bowl is constantly topped up with food, and their water bottle always has water in it. It makes a difference as they always need to be chewing. 5. Consider changing their bedding to help bedding from Carefresh bedding which has done the trick for some other owners. 6. Gnaw sticks such as Burgess Supasnacks, Johnson’s fruity, Birch twigs, Bamboo Bundles and Mineral blocks are some to consider to give them something else to chew. Can Hamsters Eat Each Other? Here’s a question that may have come to mind as a hamster owner. Especially if you keep hamsters together. Is it possible that they will attack and consume each other? So can hamsters eat each other? You would never think that such an animal like a hamsters could consider having cannibalistic tendencies. As a survival instinct they have been known to be cannibalistic. So as owners it is good to know how to deal with this and prevent this. As it could actually happen! Syrian’s have been known to attack another hamster in their cage if it is a stranger hamster. They only really get on with Syrian’s of the same family. If Syrian’s are placed with a hamster of another family they have been known to attack it because it has an unfamiliar scent. They will even to kill it and then consume it on rare occasions. This is why it is important to only keep Syrian hamsters of the same kin with each other. Try not place them with other Syrian’s who have different family scents. What about other dwarf’s and Roborovski’s? Some dwarf hamsters have been known to be cannibalistic with other hamsters who ‘invade’ their habitat. However, this tendency is not as strong as it is with Syrian’s. Roborovski hamsters are known to be more friendly towards each other. They are the easiest of pet hamster to keep together as they will just get along. However, they do need to have space in the cage to make their own. If they feel overcrowded and cramped, their demeanor may change to being more irritable towards their fellow cage mates. The best way to ensure that hamsters get along with each other is to buy them together. This is because if they have been together prior to being purchased, they have a track history of getting along. Other instances of hamsters being cannibalistic are when a mother who has stillborn pups has been known to consume them. This is because the scent of a dead pup would attract unwanted predators. This is pure maternal instinct so as to protect the rest of her brood and to ensure they are kept safe. These are the the only instances where hamsters are known to attack or eat each other. They are not naturally cannibalistic and will shy way away from doing this. Can Hamsters Eat Lima Beans? 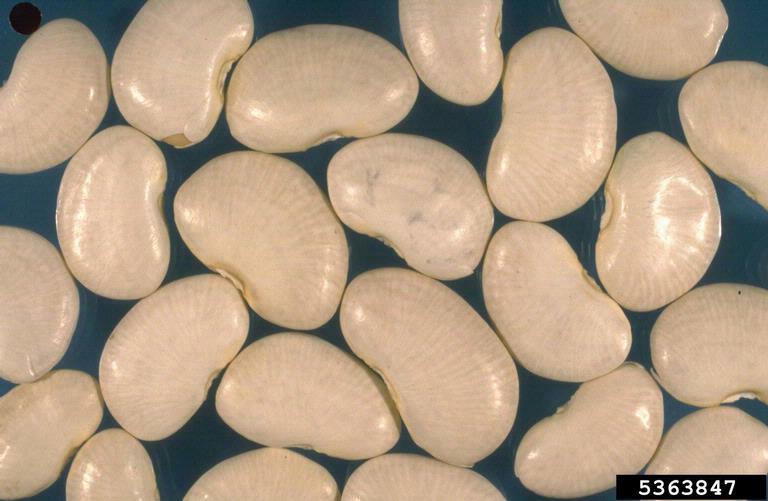 Lima beans are an edible flat whitish bean. They are also called butterbeans or sieva beans and are eaten as a vegetable. Can hamsters eat lima beans at all? As you can see lima beans contain a lot of phosphorus and acidic content, a hint of sodium, sugar and calcium. This means that lima beans are not good for hamsters to eat due to their acidic content. They will make them sick if they are eaten. Can Hamsters Eat Fennel Seeds? Fennel seeds are the natural seeds of the fennel plant and are sold as a nutritional food worldwide. So can hamsters eat fennel seeds? In particular, their acidic, sugar fat, salt, phosphorus, calcium, and water content is of most interest as far as hamsters are concerned. As you can see, fennel seeds contain a lot of phosphorus, fat and acidic content, a huge amount of calcium. This mean that they are not so good for hamsters to eat. A food to avoid feeding them if you can help it due to their high fat, acidic and calcium content. Flaxseed come in two basic varieties brown and yellow or golden. They are also known as golden linseed. So can hamsters eat flaxseed at all? As you can see flaxseed contains a huge amount of phosphorus and fat, a lot of calcium and acidic content and a hint of sugar. This means that flaxseed is not recommended as a food for hamsters. It contains too much acidic and phosphorus content for them, not to mention fat which is really bad. If they eat one or two seeds they will be fine, but it isn’t advised to feed it purposely to them. Can Hamsters Eat Fruit Loops? 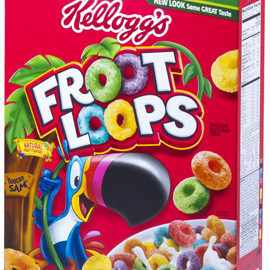 Froot Loops is a brand of sweetened, fruit-flavored breakfast cereal produced by Kellogg’s and sold in many countries. So can hamsters eat fruit loops? As you can see fruit loops contain a lot of sugar and a hint of fat. This means that they are not so good for hamsters to eat. Syrian’s and Roborovski hamsters can eat one or two of them, as they are not prone to diabetes like other dwarf hamsters and can handle foods with high sugar content in them. Plain cereal like cheerios for example, are much better for them though than cereals with added sugars and flavorings. Can Hamsters Eat Gerber Puffs? 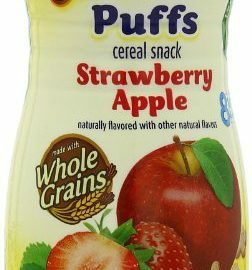 Gerber puffs are a snack food that is specially designed to dissolve quickly, because of their design for infants. They come in different flavors and are manufactured to be eaten by babies who do not have teeth yet. So can hamsters eat gerber puffs? Unfortunately, gerber puffs are known to be quite high in salt. This means that one or two is sufficient for them to eat at any one time. They may enjoy gerber puffs as a light snack, however there is no nutritional value in them at all and so shouldn’t be fed as a regular food to them. Clementines are a tangerine of a deep orange-red North African variety that is grown around the Mediterranean and in South Africa. So can hamsters eat clementines? Let’s take a look in depth at their nutritional data and find out more. In particular, their acidic, fat, sugar, salt, phosphorus, water and acidic content is of most interest as far as hamsters are concerned. As you can see clementines contain a lot of water, a hint of salt and fat, a little calcium, quite a lot of acidic content, and a lot of sugar. This means that unfortunately they can’t eat clementines. Citrus fruits are not good for hamsters to eat as they are just too acidic and sweet for them to eat. A food to avoid feeding them. Dill is an aromatic annual herb which belongs to the parsley family. It has fine blue-green leaves and yellow flowers and its leaves and seeds are often used for flavoring in culinary dishes and also for medicinal purposes. So can hamsters eat dill? In particular, its acidic, water, fat, phosphorus, calcium, sugar, and salt content is of particular interest as far as hamsters are concerned. As you can see dill contains quite a bit of phosphorus, a little salt, a lot of acidic content and a hint of fat. This means that they can eat dill but only in small amounts on an occasional basis due to its acidic content. A pinch of dill in their food bowl will suffice every now and again. Do be careful not to feed them too much.